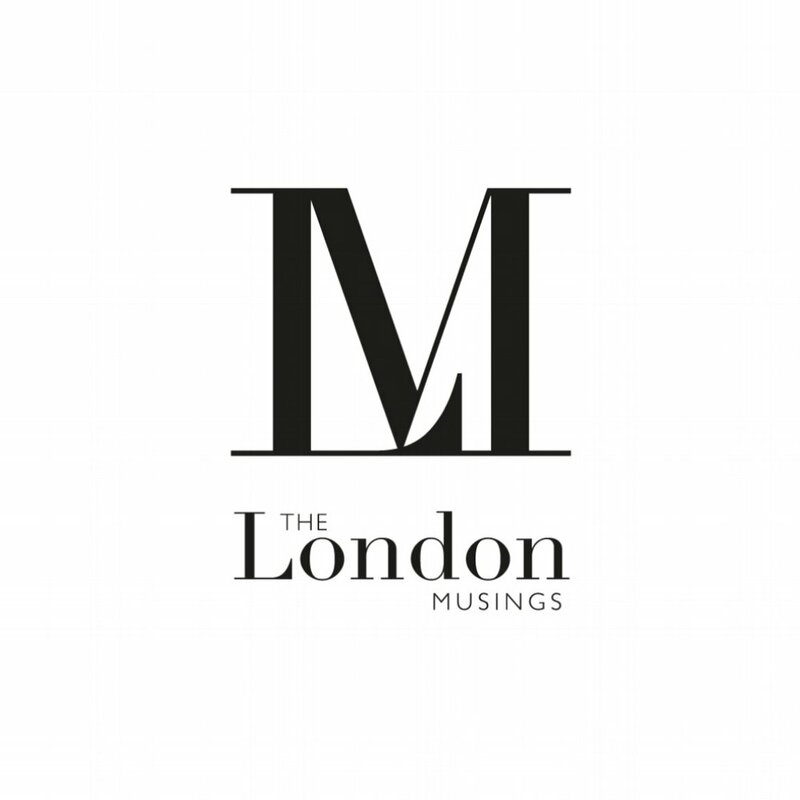 The elegance of Wilton Place, Belgravia has been given a dramatic festive feel this Christmas season with a collaboration between leading architects Rogers Stirk Harbour + Partners and landmark London hotel The Berkeley. 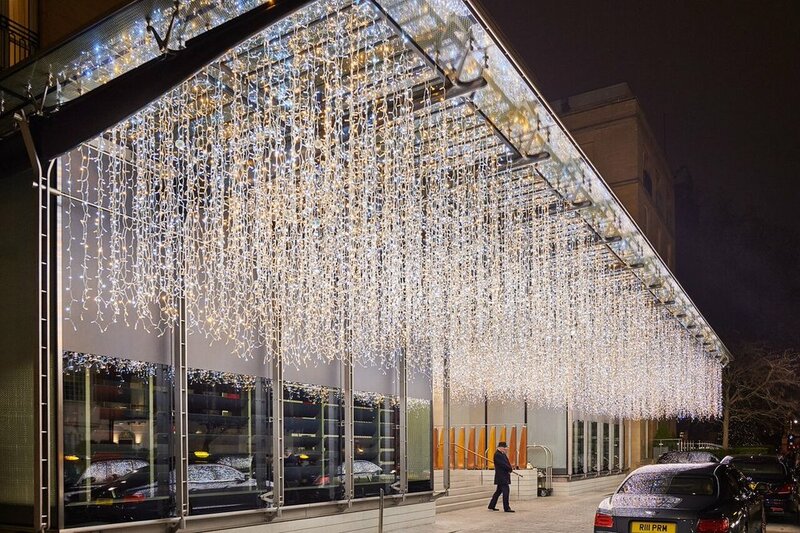 ‘Snowfall’ is a specially commissioned lighting installation evoking an intense magical snow scene to welcome guests as they enter and leave the hotel taking inspiration from the drama and intensity of a snow blizzard. 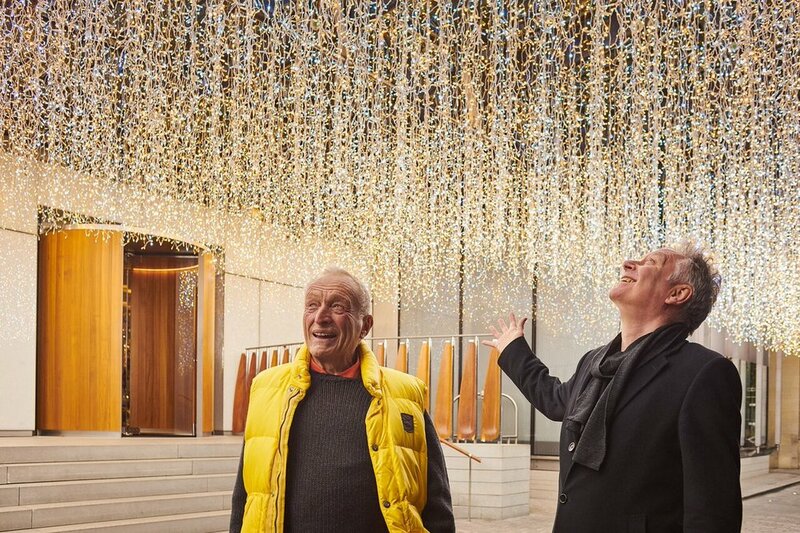 ‘Snowfall’, with its 137,000 glistening lights, hangs from the hinges of the carbon fibre beams that were installed when RSHP designed the new Berkeley facade in 2016. By day, the light installation will refract the sunlight coming through the honeycomb effect set within the tripled glazed glass canopy and by night The Berkeley’s entrance will be transformed into an illuminating scene where the varied lights will create a glistening effect of snow falling upon the stone steps below. This festive light installation is the latest design in a sequence of projects by RSHP created for The Berkeley following the complete redesign of the hotel’s façade last year; an elegant extension to the hotel’s new ballroom unveiled this autumn; and the striking addition of sweeping terraces to a series of new suites. The creation of ‘Snowfall’ brings a festive touch to the partnership whilst looking ahead to a continued collaboration into the New Year and beyond. Rogers Stirk Harbour + Partners is an international architectural practice based in London. Over nearly four decades, RSHP has attracted critical acclaim and awards with built projects across Europe, the Americas, Asia and Australia. RSHP employs around 200 people, including 13 partners, 13 associate partners and 51 associates, in offices across the world – London and Shanghai. If you need a reason to visit the hotel, please click here for details on ‘Out Of The Blue’, a brand new experience in The Blue Bar designed to take guests on an explorative journey of taste!